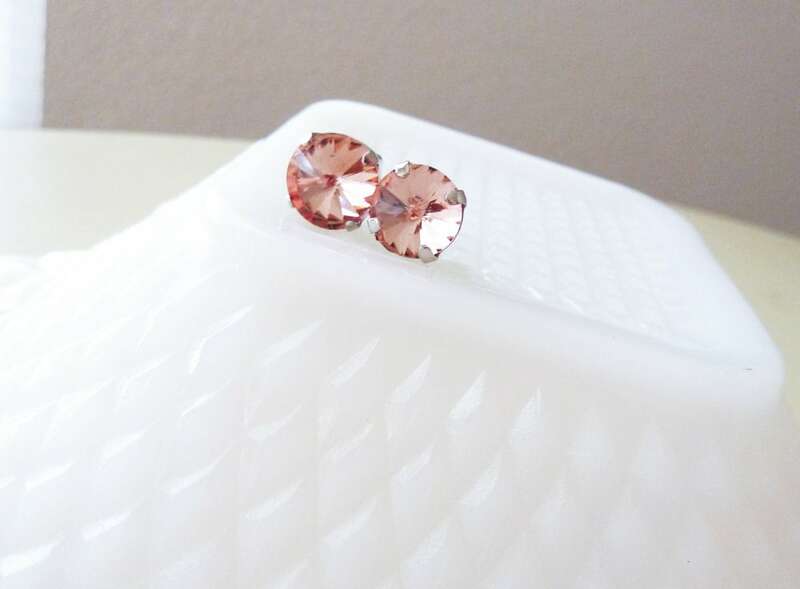 Nothing is more fabulous than vintage style estate rhinestones earrings!!! 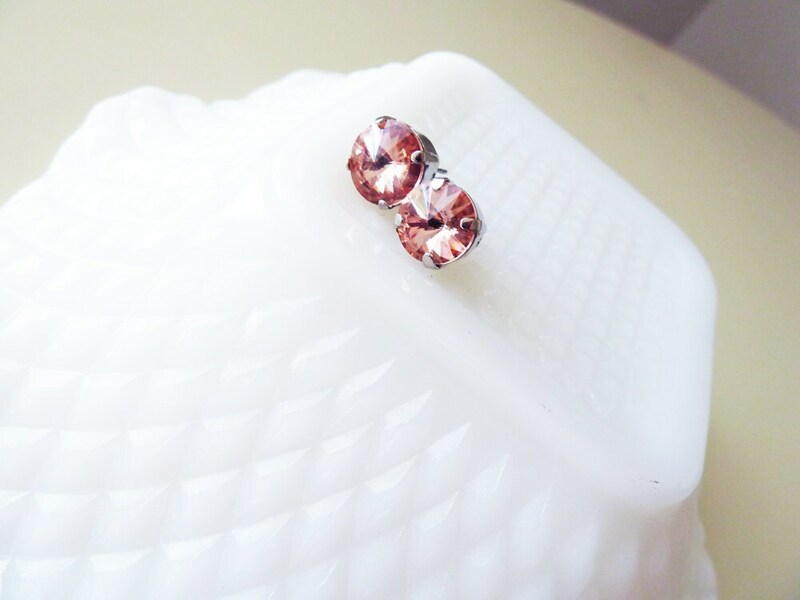 I took these pink rhinestones that are set in silver & added posts so that they could be worn as earrings. Perfect for dressing up on a jeans and t-shirt day (show off your inner diva *smiles*) or even wearing on a formal occasion. That's the beauty of rhinestones!!! 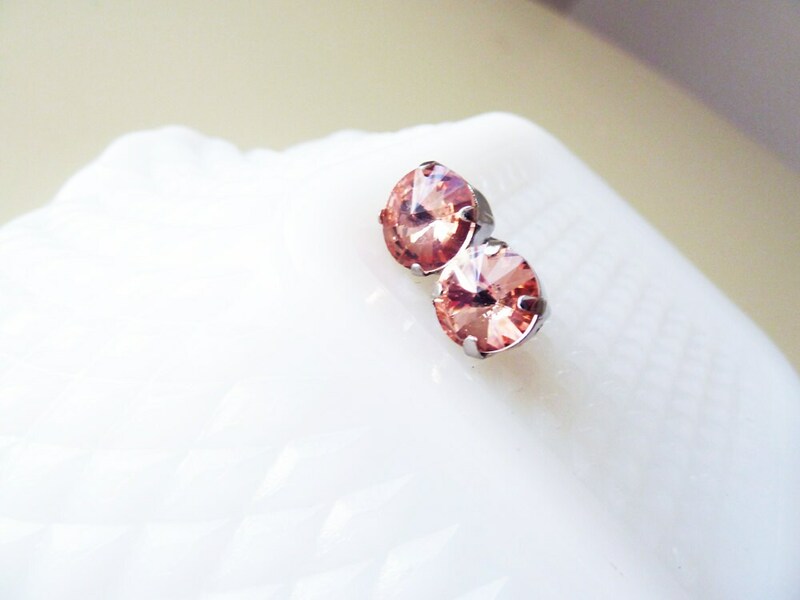 The rhinestones are a baby pink color - the dark spots you see in the photographs is my camera lens. 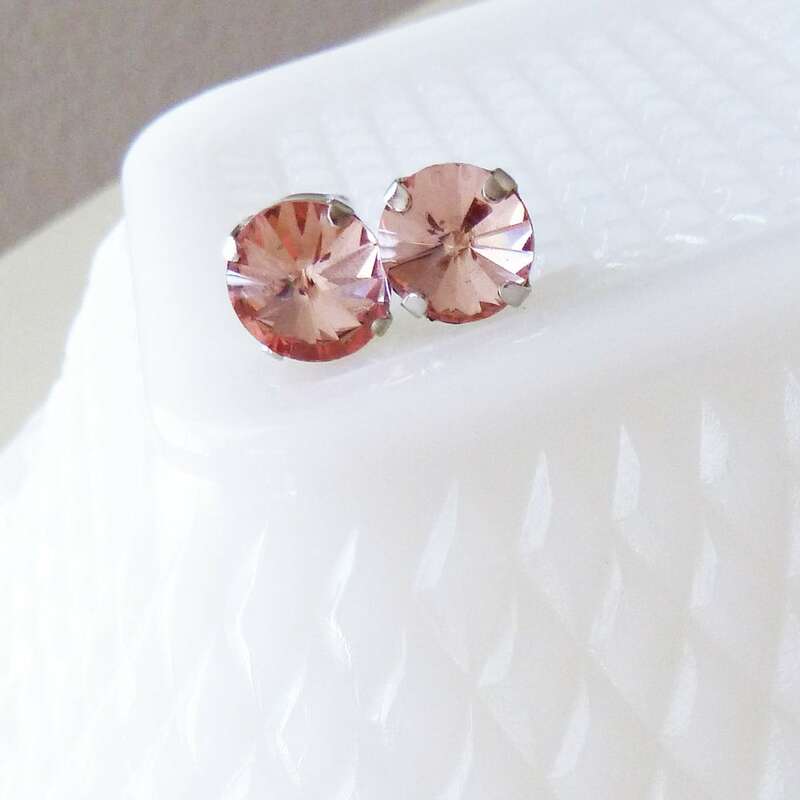 You are purchasing a pair of earrings made with pink rhinestones set in silver affixed to surgical steel silver colored posts. 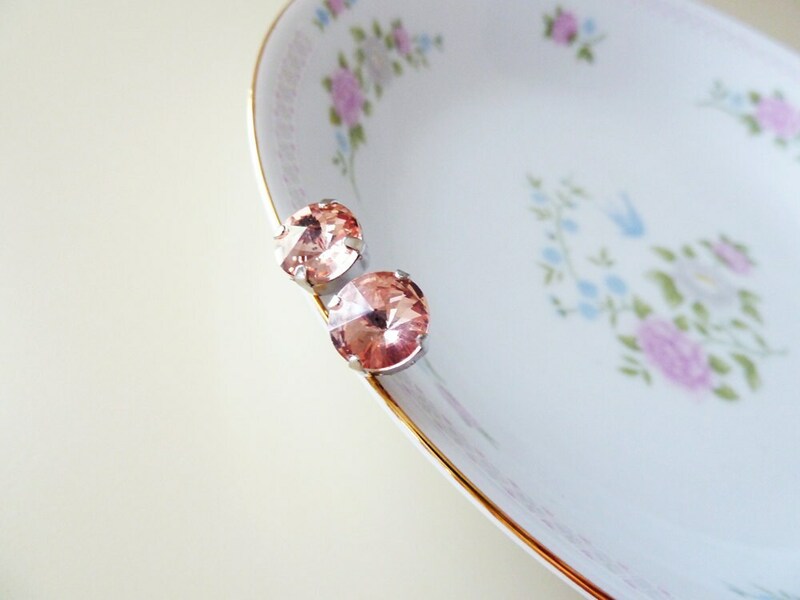 The rhinestones measure approximately 3/8" (10mm) in diameter.